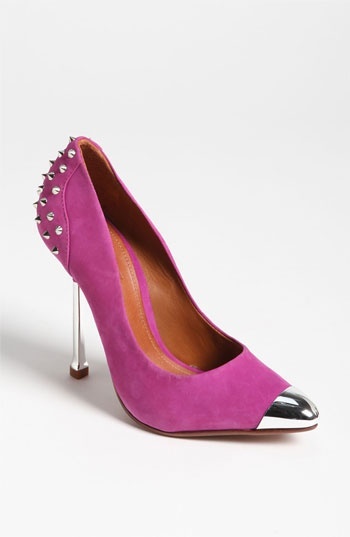 Studded shoes have been around for awhile now - (not including my two pairs of studded boots) I own these three pairs. I was never gutsy enough to try the spikes, but this season has me craving tougher, more out of character pieces for me - camo jacket, buckle boots, faux fur, faux leather, wedge sneakers - so I'm not surprised that the spikes are starting to make me salivate. It first hit me when I was at the Toronto airport waiting to go through security. There was a woman in line, probably in her mid-50s who was wearing a pair of black spiked flats, straight legged pants, fitted sweater. She looked very well put together, and even though spiked flats seem like they would be young (like 20s young, not that mid-50s is old by any means) and trendy, her outfit looked extremely age appropriate. The rest of her pieces were classic and simple, so she didn't look at all as if she were trying too hard, and frankly, her flats didn't call too much attention to themselves. That's when I decided I should consider some spiked shoes. I initially thought about flats, but I'm kind of putting myself on a flats ban because I just don't wear them that often. I have a few pairs, but there are only a couple that I wear religiously. Heels are my true love. So... I bought two pairs. I can't take credit for finding these myself. A friend had tipped me off to them, and wow, I fell in love. (Yeah, I fall in love with lots of things.) 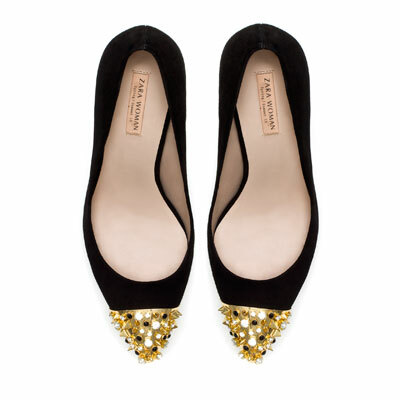 There's something really timeless about black and gold, and the studs/spikes make this shoe special and funky. I plan to treat these as if these are just simple gold cap toe shoes. 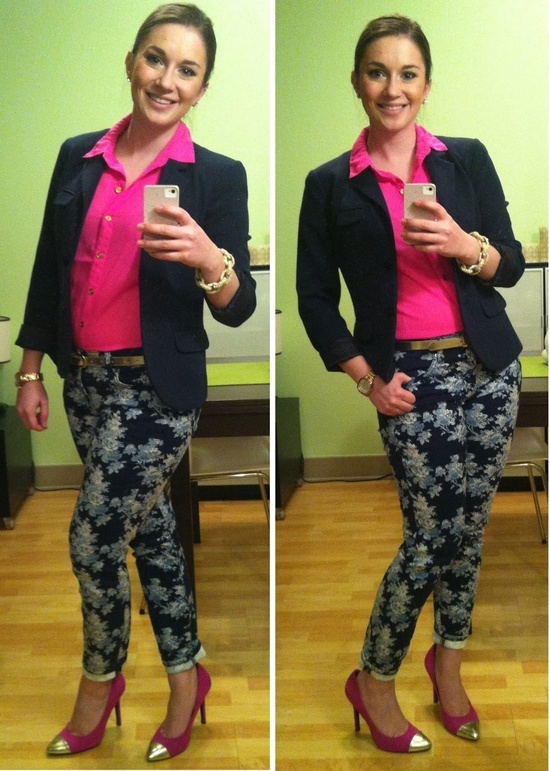 You could easily casualize the above outfit by going with basic dark washed skinny jeans and a black blazer or cardigan. Loving the chevron paired with the leopard! The gold cap toe is the cherry on the top. I had already ordered the black and gold pair when I came across these. 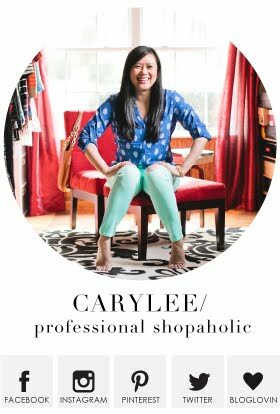 It's awesome following other bloggers because of all the inspiration and ideas they spark, but gosh, sometimes it's so dangerous for your wallet and is a true test of your self control! Clearly, I failed that test this time. I can't wait to get these two pairs in - expect to see them in an upcoming outfit of the day! I love all of your shoe picks! I'm glad you found some inspiration from my outfit! 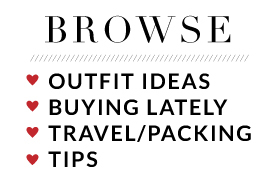 I totally agree that reading a lot of fashion blogs in dangerous because it makes you want to shop so much more!